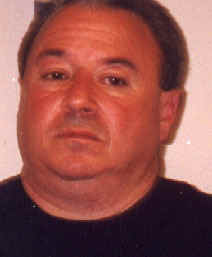 Lucchese mobster Joseph "Joey Flowers" Tangorra can in the wise guy world be viewed as playing a dangerous game, following in the footsteps of Tony Soprano of the acclaimed hit television series. Flowers had been talking to a shrink, which is what the fictional Tony Soprano does in the popular series. The fact is Soprano has a lot of leeway in his performance; Joey Flowers did not. If nothing else Flowers is a man overwhelmed by bad luck, which might make him a logical candidate for the couch, but not in the Mafia world. In fact, the word goes that the boys are eager to put him out of his mental difficulties. Joey, in federal custody since 2001, apparently had not committed the unforgivable sin of talking to the FBI or government prosecutors. The trouble is he started talking, and talking and talking, to himself, to prison psychiatrists and other medical people about his steady depressions, followed by severe panic attacks. An impartial observer might say Tangorra had enough reasons to talk to the shrinks. Back in 1992 he and another mobster were putting the squeeze on a debtor when Joey's partner accidentally shot Joey in the back. After that Joey suffered a number of resultant ailments. More recently Joey was hit by state prosecutors on racketeering charges, and this was followed by federal prosecutors on similar charges. After that Tangorra flipped, in the psychiatric meaning of the word. He was seen a block away from his Brooklyn home waving a copy of a recent indictment. This was not considered the proper behavior of a made guy, a capo at that. Afterward Tangorra was described by his lawyers as suffering a deteriorating mental condition, being an emotional wreck, and in need of a thorough evaluation. When he was returned to the Metropolitan Detention Center in New York, other inmates taunted him as being a "rat." This apparently gave Tangorra even more reason to panic and act out his frustrations with a particular nasty antagonist. Both Joey Flowers and his foe went into isolation. Tangorra then grew fearful of returning to the general population. He picked up some additional woes when federal prosecutors denied he needed psychiatric attention, that what had him depressed was the fact that he could be facing life imprisonment for his crimes, in short that he was faking. The courts for the time being felt Joey needed more treatment. Then Tangorra had insult added to his injury when one Lester Ellis was ready to testify against him. Ellis was the companion who had shot him in the back by accident. As the months dragged on it appeared unsure whether Joey Flowers would ever exchange a standard prison cell for what some of his fellow inmates called the loony bin.